Leling Jinyuan Condiment-Food Co., Ltd.
3. Color: Red with Brown Yellow. 4. Crop: 2013 crop, clean, dry and no mouldy. 5. Shape: Whole or Slice. 6. 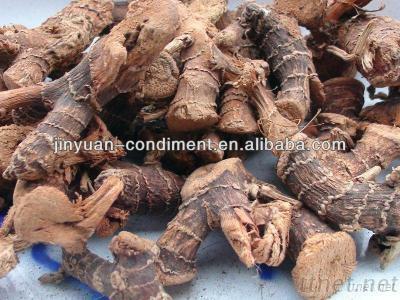 Aroma: Spicy taste, similar with dry ginger sweet smell . 9. Well dried, big in size. 10. No foreign matters, clean. Food & Agriculture, Seasonings/n.e.s., Seasonings/n.e.s.